From Delis to Carts and Coffeeshops, Bars to Restaurants and More! Our Resource Guide is an easy to understand summary of rules and regulations from over a dozen permitting and regulatory agencies. 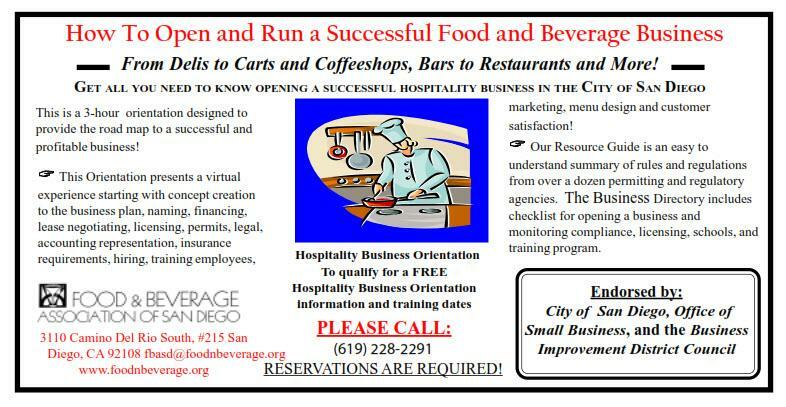 The Business Directory includes checklist for opening a business and monitoring compliance, licensing, schools, and training program.